03/19/2018 Guy Tal (in Isreal) with Perach (co-host) and Doc Marquis (via Skype): The Truth About Jerusalem and Israel" and "Giants"
03/03/2018 Bill Demerest and Doc Marquis - What's Going On In This World? 01/12/2018 DEMAND THE TRUTH Radio - Hosted by Will Turbitt with Guest Speaker Doc Marquis - "Is Christianity Valid Today?" 07/15/2017 The Hagmann and Hagmann Report (July 14, 2017) - "See Something Say Nothing: Phil Haney, Doc Marquis and Jon Robberson"
07/10/2017 Tony Koretz - The Minute to Midnight Show: Doc Marquis - Protocols Of Zion, Illuminati and the Final Rapture - Startling! 04/20/2017 10-year-old autistic boy handcuffed at school, spends night behind bars. Here�s why. 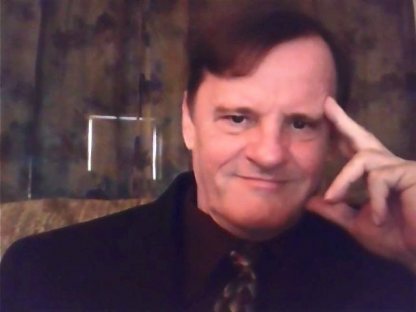 11/19/2016 The Hagmann Report 11/18/2016 with Doc Marquis on "The Giants". (Show begins at 1:04:35 and runs for the next 2 hours). 11/05/2016 Special Hagmann Report: The Clinton-Occult Connection 11/4/16 (The Show begins at the 2:00:05 mark). 08/28/2016 Were are live on Air With Doc Marquis. The first is gone! 08/24/2016 Announcement for Live SHOW .. with Doc Marquis! 08/19/2016 DOLLAR BILL REVEALS HIDDEN SATANIC NEW WORLD ORDER AGENDA! 07/23/2015 Ex-Illuminati Witch Doc Marquis Calls Out Creflo Dollar, Joel Osteen!! 12/24/2014 Dan Bidondi: Truth Radio Show with Doc Marquis " Christmas - Satan's Christian Mask Exposed!" 01/30/2014 Doc Marquis on "The Hagmann & Hagmann Report"
03/28/2013 The Universal Voice Radio Show Presents: "Inside the Illuminati with Former Member Doc Marquis"
03/07/2013 Adam Sayne interviews Doc Marquis: "Memoirs of a former Illuminati Witch"
Aug 20th 2011 Edge Live Show 20th Aug 2011 - EdgeTube broadcast together!